Positive Detroit: Faygo Launches New “Gold” Flavor With Contest To Win Gold Bars! Faygo Launches New “Gold” Flavor With Contest To Win Gold Bars! 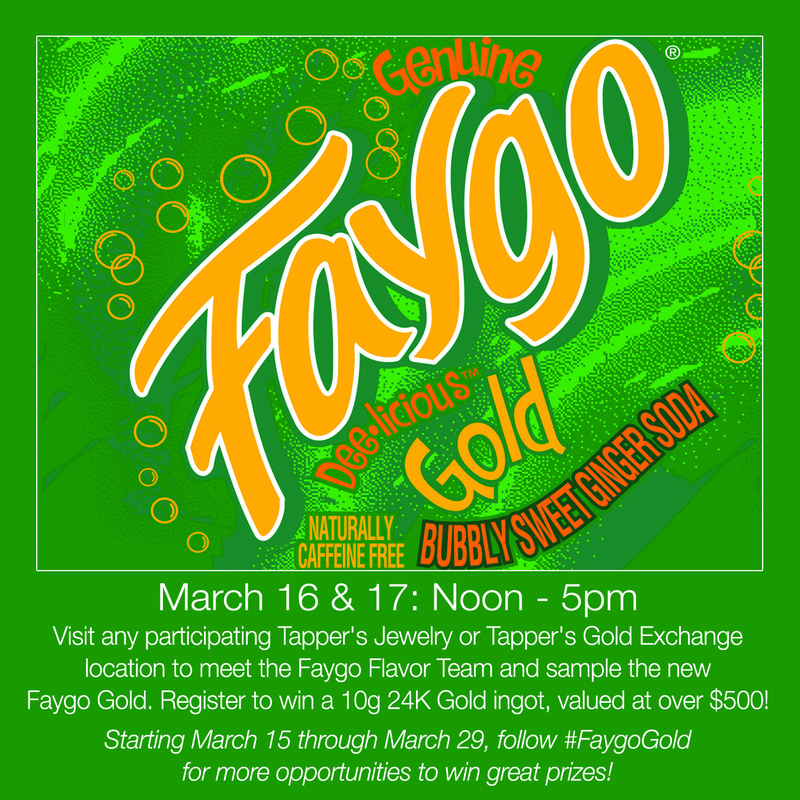 The promotion features opportunities to win a “Pot of Gold” - a cauldron of Faygo Gold pop, T-shirts and a 24K, solid gold bar from Tapper’s; - a social media photo contest on Instagram; and an in-store contest and product sampling at Tapper’s Diamonds and Fine Jewelry and Tapper’s Gold Exchange locations. Faygo Gold joins more than 60 flavors in Faygo’s beverage line. Gold is available now throughout Michigan in 24oz and 2 liter bottles. Diet Faygo Gold is available in 2 liter bottles. #FaygoGold Social Media Photo Contest Starting on Friday, March 15, through Friday, March 29, Faygo fans are asked to take a photo of “what” or “who” is most valuable to them and upload the photo to Instagram with the hashtag, #FaygoGold. The top three Instagram photos generating the most “likes” by 6 p.m. on Friday, March 29, will win. The winners will be announced on Instagram, Facebook and Twitter and will receive a “Pot of Gold” that includes Faygo Gold and a 24K, solid gold bar valued at $250 for first place; $100 for second place; and, $50 for third place. Faygo Gold Contest in Tapper’s Stores On Saturday, March 16, and Sunday, March 17, noon - 5 p.m., Faygo fans who visit any of the 12 participating Tapper’s Diamonds and Fine Jewelry stores and Tapper’s Gold Exchange locations, can get a free sample of Faygo Gold and enter to win a “Pot of Gold” that includes Faygo Gold and a one-third ounce 24K solid gold bar valued at $550. The final drawing will take place on Sunday, March 17 at 6 p.m.